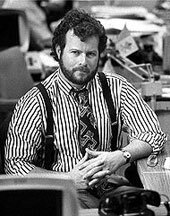 Randy Shilts was a pioneering gay author and journalist who wrote for both the Advocate and the San Francisco Chronicle. Schilts warned about gay-related immuno-deficiency disease in the Chronicle in 1982, long before it would be called AIDS. He wrote three best-selling books on topics that were not even considered “acceptable” discussion in most circles: The Mayor of Castro Street (Harvey Milk), And The Band Played On (AIDS), and Conduct Unbecoming (gays in the military). I read Conduct Unbecoming shortly after publication in 1993. That is, I read most of it. Schilts’s book is a massive compendium of carefully researched, documented and footnoted case histories “from Vietnam to the Persian Gulf War” (784 pages, paperback). As a Vietnam veteran myself, I was only vaguely aware of the public side of the military posture on gays within its ranks before I started this book. I had no idea of the internal workings of Army Intelligence and the military command structure toward entrapment and discharge of suspect soliders and sailors. It is the only book, besides one other, that I found myself unable to continue with because it was staggeringly depressing. The other book was Aleksandr Solzhenitsyn’s Gulag Archipelago. Hello, My brother, Richard McGuire, was one of the people that Randy wrote about in his book “Conduct Unbecoming”. He died June 2012 of what I would consider PTSD. My brother was very intelligent but his years after the Air Force were very troubling for him. The last 20 years of his life he was a raging alcoholic and a hoarder. He became a recluse and didn’t work for the last 15 years of his life. I personally HATE the Air Force for what they did to my very intelligent, kind and well-loved brother. It is a very disturbing book. I have a friend, who after reading about my brother, said to me that my brother was tortured, both mentally and physically, by the Air Force assholes. She was sickened by what she read. It is now harder for me to read this book now that my brother is dead. I actually acquired Richard’s signed copy of the book. I am happy to have this copy as there was not much in my brother’s apartment that did not go into a dumpster due to his hoarding.